I think fewer things would be more grating on my sensibilities than listening to such banalities. There are few things I like less than fawning praise, because invariably it is either insincere or trite. A troll is someone who will state something only with the intention of stirring up controversy. Typically the statement is so absurd that only the most noobish of noobs will get offended and respond...Successful trolling brings lulz — pleasure at the expense of others. By participating in flamewars with a troll they become your puppetmaster, manipulating your emotions for their own enjoyment. If you respond to a troll, you are said to be feeding the troll. You’ve got better things to do than feed trolls. Irony. Learning to not feed the trolls. These are significant subtle advances in societal wisdom. The local paper is predictably liberal in editorial and news coverage, yet they noted a particular Federal Program was a total failure, with almost nothing to show for $200 million. The idea was to create programs and grants to replicate successful poverty-fighting projects in North Minneapolis (the poor part of town), they started with "listening sessions'' to hear directly from folks about their priorities. A strategic plan was hammered out to "reduce poverty and create wealth through community investment, resident engagement and business support." But then as one insider said: "I would get calls from people [at nonprofits] asking, 'What's going on?'' The paper reports basically nothing happened. The successes included these wonders: leadership training to more than 100,000 people in 283 communities and a new business incubator for chefs, caterers and other food industries called Kindred Kitchen. It's rather amazing that so much money can disappear like that, but given the Department of Education spends $60B and the CIA spends $28B on nothing I am aware of, I guess one should never underestimate the ability of a bureaucracy to spend. $40 million over five years to develop programs that help aged or disabled people move from care institutions into the community. Developing programs to do something seems like a reasonable first step, but it's quite different than actually doing something. When participants don't have a goal that's really sustainable, as when private investors try to build a business, the result is nothing. Hmmm. No one talks about that going on, but I have noticed that going on quite a bit. At my gym the childcare has a woman there who went to Northwestern's B-school, which is usually in the top-5. She decided to be a full time mom, and so does that just to break up the day. My wife did it for a while--she too is a college graduate who doesn't work outside the home. I think most women would prefer this option if they could (note: most merely means >50%). the finding that the average SAT score of the highest ranked school that rejected a student is a much stronger predictor of that student’s subsequent earnings than the average SAT score of the school the student actually attended should give pause to those who interpret conventional regression-based estimates of the effect of college characteristics as causal effects of the colleges themselves. .. So, 'plausible chutzpah' is more important than actual grades. Again, that makes sense to me. Very interesting dynamics. 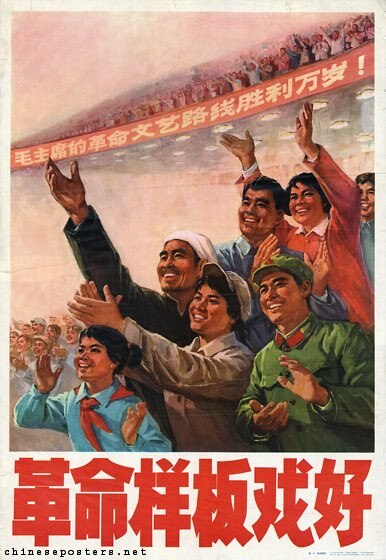 Brian Caplan noted that Maoist communists were probably the largest cargo cult the world has ever seen. They chose to mimick a few random characteristics of advanced economies, no matter how many lives it cost, specifically, steel. Since modern countries have lots of steel and backwards countries have none, the Communists strove to make a big pile of steel - or at least something that vaguely looked like steel. the result was a system where hundreds of millions of peasants were forced to throw their perfectly serviceable iron utensils and tools into backyard furnaces to make worthless pseudo-steel sludge. Who needs knives? Modern countries have steel! It's easy with hindsight to see these were truly misguided beliefs, focused on a correlate, not a cause, of their ultimate objective: prosperity. Yet this error underlies most wrong beliefs, as you only see correlations and infer causation based on a theory, which often is a riff on an ideology. There's nothing wrong with estimating something based on correlates as long as you realize you are doing just that, but after a while these correlates become not merely correlated attributes, but necessary and sufficient conditions, leading to what ex-post seems like extreme naiveté. This is especially true when the idea has a large constituency, as with the idea that owning a home has myriad benefits: closer communities, an incentive-compatible savings vehicle, etc. While true at some level, special interests then use these as levers to promote self-interested and unsustainable programs because their base assumption—housing prices do not decline nationwide, housing is associated with all sorts of good socio-economic outcomes—is taken as a given, and implies the optimality of what they are proposing. Currently the education establishment in the US currently encourages mindless credentialism based on the logic that education is correlated with expertise, so many teachers have advanced degrees in education with the pretext of having greater expertise while in practice merely producing barriers of entry to competitors. Currently many regulators are focused on leverage limits, which makes sense at some level, but if it becomes a centerpiece of financial reform it will be easily gamed and give people a false sense of comfort (strangely, while everyone agrees Value-at-Risk can be misleading and is a poor target, leverage is much more misleading but seems like a prudent pillar of reform). 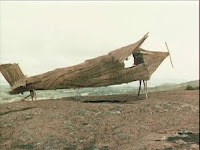 Currently many stupid ideas and practices are driven by Cargo Cult thinking. I'm fascinated by epistemology because so many people talk about modern science as if it somehow is immune to cargo cult thinking. I have seen first-hand how experts focus on attributes of ideas correlated with truth, as opposed to truth itself. Consider Robert E. Lucas's Island Model of business cycles. No one thinks that is relevant to explaining business cycles anymore, and while at the time was very plausible, it was an intellectual waste of resources on the order of Pets.com. Greg Mankiw is mainly known for his new-Keynesian menu-cost model, which no one thinks has much relevance anymore, but it's his signature intellectual achievement, what gives his opinion gravitas. Romer's growth model, Krugman's international trade model, none of these are useful in explaining anything more than the stylized facts they were created to explain. But they have attributes just like theories of physics, with theorems and the use of logic applied to assumptions. They are considered top rate science, not because they lead to greater predictability or better policies, but rather like steel to Maoists, they contain something their objective contains, rigor, which--hopefully--will ultimately yield the economic truths we seek. When I hear people quote data on wages, I don't really care about the trend because without non-wage compensation such data are so misleading as to be meaningless. Case in point, the Milwaukee teachers and administrators. The salaries average $56,500 and benefits are $43,505. They get ten weeks off in the summer, 1 week at Christmas, 1 week for mid-winter break, 1 week for spring break, and 11 holidays. Low Volatility Investing is pretty hot right now. A week ago there was a conference from the CFA/Boston Security Analysts Society entitled Minimum and Low Volatility Investing: Theory, Index and Practice. Several large firms have jumped in the low volatility space. Last year, PIMCO started a Tail Risk Hedging Fund designed to protect investors from a drop of more than 15 percent in a benchmark index that Bhansali declined to identify. Deutsche Bank has Equity Long Volatility Investment Strategy, or ELVIS, that uses derivatives called variance swaps linked to the S&P 500 that bet on the index's volatility. Pine River Capital Management started the Nisswa Tail Hedge Fund. Capula Investment Management started a tail-risk fund in March with about $100 million, which has grown to about $650 million. Pioneers Analytic Investors and Robeco have special websites with lots of good research on low volatility investing. See Analytic's here, and Robeco's here. It seems that low volatility investing is the new style, an addition to the hoary value/size/industry/region styles that predominate equity markets, so soon every major fund will offer its version on this theme. 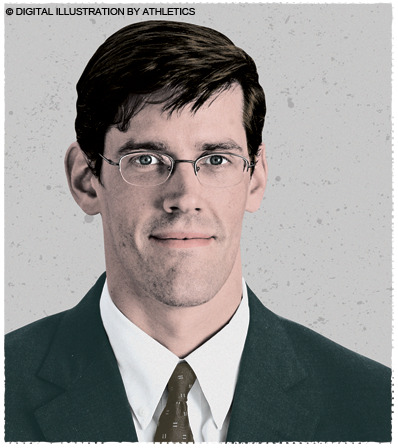 Two things are key to a fund's low volatility success. First, that a fund merely targets a long low volatility subset of equities. Adding insurance over a standard portfolio misses the real value to low volatility investing, which is based on the fact that lower volatility subsets of equities are a free-lunch in Sharpe space: lower volatility and (slightly) higher returns. If you pay for insurance on a standard portfolio you are lowering your return, because insurance is costly: on average, low vol assets are underpriced (according to standard theory), volatility itself is not. Lastly, while high volatility subsets have low returns, shorting is nontrivial to implement and these stocks, by definition, have a lot of volatility, making them best to simply avoid. He says that marketing low volatility portfolios is hard because they have a high tracking error to the (market cap) index. In practice, low volatility portfolios are risky because they dramatically underperform in bull markets. Relative returns dominate absolute returns in terms of allocating money as evidenced by the fact that any one time the inflows to funds goes to the latest 12-24 month top-performers regardless of markets. In bull markets people like Mary Meeker, Henry Blodget, Jack Grubman are anointed trenchant investing geniuses when assets are bubbling, in bear markets its people like Nouriel Roubini and Nassim Taleb, and despite their different reasoning they are more alike than different, right for wrong reasons, but most importantly right on the prior 24 months. You have to sell investors on the idea that this risk is worth it, an eminently feasible objective, but it's hard because institutional managers are run by committees, and committees are dominated by tradition that implicitly acknowledges benchmark risk. The funny thing is that benchmark risk not an explicit consideration, more an unstated one, but often the assumptions and protocols have the greatest effect. Tuesday I posted on the stop loss myth, but it's actually a more complex issue. The post criticized the thought that given an expected return on an asset, a stop loss rule can change an asset's expected return. It isn't often stated this boldly, but implied, and this is just wrong. A stop-loss merely adjusts the expected return by the expected time horizon you are in the trade. An asset does not have a different expected return because of what the holder does with it by definition in the paper referenced. Yet, stop loss rules can be very useful when you do not know the expected return of the asset, or strategy, you are applying. In those cases, almost everyone prudently stops doing something if it loses some arbitrary amount. I hear Millenium had a rule that once a trader had a 3% loss of his initial capital allocation, he was gone; harsh, but with hundreds of traders of uncertain ability, a reasonable rule of thumb. The idea comes from the optimal stopping problem, which has a large literature, and has been applied to picking secretaries. The idea is, you sample things, and can move on, and you want to choose the secretary/asset that will generate the greatest annuity. When you sample from a strategy/asset, it is like pulling a ball labeled x from an urn that are distributed with mean μ and standard deviation σ. Each sample costs c>0, which can be considered an opportunity cost. An any stage you can stop and keep your asset/secretary for the remainder of the 'game', generating x each period. In this case, the optimal rule is to sample until x>f(c,σ), where f'(c)<0, so the criteria is a decreasing function of the cost of sampling. Further, f'(σ)>0, so as the volatility goes up, you would do better searching still further, hoping to get a really high valued secretary/strategy, etc. This has been applied to optimal dating strategies, where you date X women, then after that, proposing to the next one who is 'better' than any of those X (this assumes each of X would accept your proposal). X is derived by taking the number of chances you think you will get and dividing by e (2.72). So, if you date 10 girls a year, and figure you'll date for 10 years (100 total), take the first 37 to find your max, and of the next 63 take the first greater than the best of the max (you aren't allowed to 'go back' at any time). That maximizes your chances of finding your soulmate. A related problem with similar intuition is if you think returns can have a mean of -μ or +μ, then a rule that exits a strategy when the cumulative return is X standard deviations below zero over any horizon will get you out of the low mean return strategies with a greater probability than the high mean return strategies, surely a good thing over the long run. 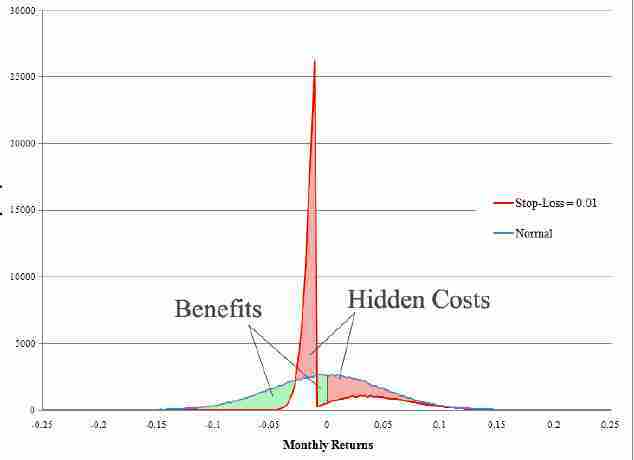 The exit rule is a function of volatility and the costs of sampling. This is a great strategy towards life in general. You should expect to pay to find what you are specially suited for, whether it's a career or mate. This is why people don't mind paying to take risks as they frequently do, because such plays are not made in a one-time mean-variance setting, but as part of a strategy of finding your alpha or comparative advantage. To never take risk but merely work really hard is to never find your best, but rather, do best in what may be a very suboptimal match (eg, I would be a bad piano player no matter how hard I practiced). When young, failing is OK, you just have to know when to stop (not too soon or too late) and try something else. Life is finite, and so at some point you have to settle down at what you are best at, or what works best for you, even if you aren't great at it, and stick with it. Optimizing does not mean you will be very successful, it just means you are maximizing your potential, which is all anyone can do. all else equal, the MVP aligns the portfolio in reverse to stock beta. 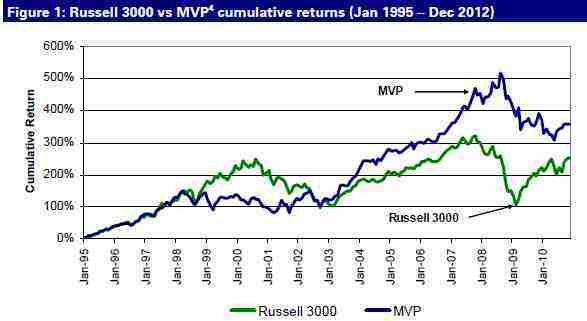 More importantly, the MVP which is supposed to be agnostic to expected stock returns has revealed itself as a strategy that, all else equal, makes the implicit forecast that stocks with higher beta will underperform stocks with lower beta. This, of course, flies completely in the face of traditional asset pricing theory. 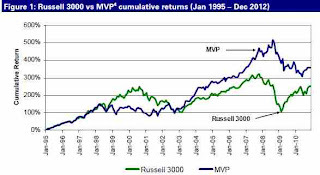 If we believe CAPM and think of beta as a proxy for a stock’s expected return then any of the characterizations in (3)-(5) imply that the MVP strategy is forming a portfolio in reverse direction of the expected return forecasts! Idiots overpaying for lottery tickets and underpricing boring equities. You won't hear much about low volatility companies on CNBC, or in your spam folder, because they are so unsexy, which is why they are underpriced. The following is from my book on stock recommendations, where I note that in contrast to standard asset pricing theory, ALL stock recommendations promise above average returns. In theory, half of all stocks should be recommended with below-average returns because they have good 'risk adjusted' returns. That this never happens highlights the theory is seriously wrong. People only take risk to outperform, never to achieve a lower return with greater safety (excluding cash-like asset holdings, such as AAA bonds or short term paper). More videos are here. Anyway, a major problem with quants is what Shakespeare called 'guilding the lily': they take something good, and make it worse by trying to make it better. In the case of the pervese cross sectional results we see: lower return for high vol stocks, higher returns for low vol stocks. As usual, they begin by noting they do not overfit the problem, in the same way someone says 'while I'm fiscally conservative...', and then decide to load up on the short weighting of really high risk companies by setting all their 'residual risks' to be the same. They find this increases the return but does not affect the portfolio risk so much: the magic of diversification! Shorting highly volatile stocks is a crappy strategy because while it has a positive return (ie, the high fliers lose money in a long-only sense), the volatility is very high. You simply would have been destroyed in 2009, or 1998-99. Plus, shorting a portfolio is simply very difficult for noninstitutional investors, something they do not have a comparative advantage at relative to the institutional investors like hedge funds, and a good relation with a short desk. If you aren't getting equal access, don't do it, because in asset markets the second tier gets severely adversely selected, and you will pay too much, and get 'bought in' at the worst times. From a nice little paper by Detko, Ma and Morito (2008). For the current fiscal year the Obama budget projects a deficit of more than $1.6 trillion, the equivalent of nearly 11 percent of the gross domestic product. Like money losing companies, they won't stop until they run out of cash, which means, until the bond markets stop giving them money. The US is like GM in the 1990's. When I was writing my dissertation in 1993 on the negative return to highly volatile stocks, this result was considered so implausible, my finance faculty were too embarrassed to give it a recommendation. It wasn't poorly done, as part of it made a Journal of Finance publication, but no one wants to recommend someone promoting a flat earth theory. As job offers in academia are primarily from word of mouth, that mean no fly-outs, but I was eager to apply this result in the private sector, so it didn't bother me. In any case, what I didn't know then that I believe now, is that the risk premium is zero in general because people are better described as envious rather than greedy, and this simple adjustment explains my finding. Without this assumption, you have to assume a very schizophrenic market, risk-loving within equities, but not between equities and bonds, and such ad hoc assertions pre-behavioral finance were considered lame (eg, Frazzini and Pederson assume people allocate only 50% of their liquid wealth to stocks, but then are leverage constrained in their investment choices within equities--as if they couldn't simply allocated 60% of their wealth to equities due to some rule of thumb). Investors face significant barriers in evaluating the performance of hedge funds and commodity trading advisors (CTAs). The only available performance data comes from voluntary reporting to private companies. Funds have incentives to strategically report to these companies, causing these data sets to be severely biased. And, because hedge funds use nonlinear, state-dependent, leveraged strategies, it has proven difficult to determine whether they add value relative to benchmarks. We focus on commodity trading advisors, a subset of hedge funds, and show that during the period 1994-2007 CTA excess returns to investors (i.e., net of fees) averaged 85 basis points per annum over US T-bills, which is insignificantly different from zero. They focus on CTAs because they are relatively easier to handle than the diverse set of hedge fund strategies, but they are probably representative of hedge funds in general. CTAs manage about $200B in 2007, so it is not an insignificant sum. 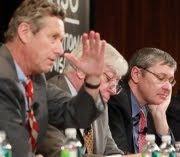 At the end, the authors try to address the question of why so many people invest in an investment class so much riskier than money markets without anything to show for it, and they are left with a puzzle: "the poor performance track record of CTAs raises the question of why the asset class has continued to grow – apparently despite a long history of poor performance." Their answer is basically that hope dominates reality, in large part because the information presented is so biased. Further, regulations actually exacerbate this problem because they prohibit funds from advertising performance directly, because supposedly this would be soliciting unsophisticated investors; in practice this allows CTAs as a class to hide their lame aggregate performance more effectively. Private equity is another asset class with difficult-to-know aggregate performance data. Robinson and Sensoy (2011) find that private equity investments do slightly better than the S&P looking at data from 1984-2010. 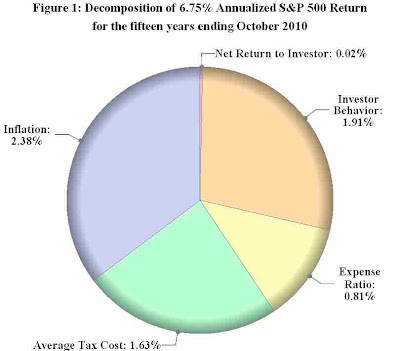 But just as in the broad equity market, the returns to private equity are low following high fundraising years, so that the return to the average dollar invested is actually lower than for the S&P500, and this lowers the average dollar return by more than a third, putting them back into money market returns. The theory that risk is not rewarded explains more of the data, and avoids the bizarre risk-loving/risk-hating theory that is preferred by academics. This clearly makes most investments much less attractive, which combined with its unorthodox assumption (envy over greed), makes it a very minority view. But it's still right. Levy, Post, and van Vliet wrote an article in 2003 entitled Risk Aversion and Skewnes preference: A Comment. They were responding to the claim that selective application of 'risk loving' preferences could explain ad hoc anomalies, the current favorite academic explanation for all those anomalies (in finance, that's most of the data). However, if people are globally risk averse, so that 'risk' generally explains expected returns on things like the supposed equity risk premium, then to be consistent with a preference towards really high positive tail returns (eg, lottery tickets), you have risk premiums of trivial absolute amounts to this tail risk, around one-tenth the equity risk premium. You can get the signs to go the right way, but then you can't get the relative magnitudes right. Good economists never let theory constrain them, rather, theory is mainly used to play parochial status games and browbeat outsiders as to the very rigorous foundations of their opinions. I doubt a single financial economist who likes the skew rationale for anomalies cares about this inconsistency as it is rarely cited; 'complete' models always applied piecemeal. It's still useful to believe true things, it's easier to explain them than untrue theories: unforeseen facts will also be consistent with true theories, making life a lot easier, and filled with comforting corroboration as opposed to ever more complex rationalizations. Case in point, the sultry sounding Carol Alexander and Dimitris Korovilas just wrote a delightful paper addressing the currently popular tactic of buying volatility (I love when English women say whilst). The idea is like when a child makes a sundae given every option: they just add everything they like together. In this case, investors think that if they take everything that 'worked' and just add it to the mix, it dominates a single thing in their they like. So as volatility went way up in 2008 when the market crashed (like always), why not own equities and volatility? Win/win! we ask whether it has ever been optimal to add a long VIX futures position to a long position on the SPY within the Markowitz framework. Then we ask: given that an investor is long SPY, how large does the expected return on VIX futures need to be in order to justify adding a long position on VIX to the SPY portfolio? VIX futures expected returns always need to be positive (and often quite large) to justify volatility diversification for a long equity investor. So, don't 'hedge' your equity position with the VXX or going long the VIX futures, just lower your equity position. If you are long the VXX, fine, but you should expect the return on that to be positive because it's a crappy pure hedge. There's a neat new paper over at the SSRN: They Saw a Protest: Cognitive Illiberalism and the Speech-Conduct Distinction, by researchers at Yale’s Cultural Cognition Project. In the study individuals are shown a video of a protest at a building, and are then asked whether the protesters violated a law that that prohibits intentionally interfering with, obstructing, intimidating, or threatening a person seeking to enter, exit, or remain lawfully on the premises. There were actually two videos, identical except that the designers of the study altered the videos to change what was being protested. One video is edited so that the protest seems against military recruiters for violating gay rights; the second video is edited so that the protest is against an abortion clinic. Here is the same number at the military recruiting center. What people saw depended on their beliefs in predictable ways: when they were protesting something they didn't like, it was earnest, rational dissent, otherwise it appeared like physical intimidation. Anywhere in the world that social psychologists see women or minorities underrepresented by a factor of two or three, our minds jump to discrimination as the explanation,” said Dr. Haidt, who called himself a longtime liberal turned centrist. “But when we find out that conservatives are underrepresented among us by a factor of more than 100, suddenly everyone finds it quite easy to generate alternate explanations." U.S. stocks have had an average annual real (after inflation) return of 6.7% between 1802 and 2010, compared with 3.6% for bonds. While there are good decades and bad for all asset classes, Mr. Siegel thinks that the long-term trends will hold true for equities. He didn't say it, at least in the newspaper quote, but the implication is that is the expectation, as well (even greater for today, because of current undervaluation). Now, Jeremy does not correct his number for adverse flows, the fact that people, in aggregate, put more money into stocks before bad times than before big increases. He also does not adjust for taxes, or transaction costs. The latter must have been terrible, because before computers, the brokers surely could have given clients prices near their daily lows and no one would now (currently there's a little kerfluffle over this in FX bank pricing). The survivorship bias of always using the US and other markets that were extremely fortunate (unlike Poland, Japan, or Russia), is also ignored. Those are each major adjustments, taking out a couple percent of the return. From 1825 through 1845, [Smith and Cole (1935)] created an equal-weighted portfolio of six New York banks and one insurance stock. For both of these portfolios, Smith and Cole omitted most of the stocks for which they had collected price data. They chose stocks in hindsight to repreesnt typical movements in the period. Further, to think these data had only tens or less of stocks for any one time highlights how precarious these estimates are. The sample selection bias caused by only including stocks that survived and were actively quoted for the whole period is obvious. Basically, in the bad old days, every couple of generations a couple professors would look at an industry that survived, on the one exchange that flourished (Charleston, S.C., New Orleans, and Norfolk, Va. had vibrant exchanges at one time), and then take within that those stocks with complete data over a period. Obviously, this make the sample cleaner with regard to annual fluctuations, which were the major concern, but the averages of this clearly inflate sample returns. One cannot reject the hypothesis that the rate of return on stocks is no greater than that for bonds. I've long been a proponent that lower volatility equities produce slightly (1-3%) higher annual returns than average, which creates a great two-fer investment strategy because you get a higher return, with lower volatility and beta. If you go to my site betaarbitrage.com, you can download returns that were created from rebalancing a portfolio every 6 months. It's important to note this is a minority view. That is, while almost everyone thinks beta (or its SDF analogues) are insufficiently rewarded, most, like Asness, Frazzini and Pederson, think that higher risk still begets a higher return, just marginally so. They are wrong, but on one level it doesn't matter: low volatility stocks still dominate the indexes in Sharpe ratios, or any 'risk-reward' metric you can concoct. But it matters a lot theoretically, because if higher risk generates lower returns, the whole 'risk premium' theory that underlies so much economic reasoning is empty, invalidating a lot research. Bali and Cakici (2006) find no large negative return to high idiosyncratic vol stocks as found by Ang, Hodrick, Xing and Zheng among others. One key point to remember is that idiosyncratic vol is total volatility minus the volatility from systematic factors. Basically, you take an 'excess' return, after subtracting a return from its market beta (standard CAPM), and the returns from 'size' and 'value' proxies. They find that when you 'equal-weight' quintiles, as opposed to value weight them, the large negative correlation between idiosyncratic volatality and return goes away. Further, when they form quintile portfolios based on market cap, so each portfolio is from largest to smallest, but the first portfolio contains many firms equal to 20% of the market, the top portfolio the fewest stocks, but includes large stocks, the results for value or equal weighted portfolios is not correlated with idiosyncratic volatility. Lastly, they look at large/liquid, lorge/high-price, and liquid/high priced subsamples, and again find no relation. I really like this paper because most interesting findings are not uncovered via abstruse statistics, but careful slicing of the data. For example, early in equity research, people included all firms, including really small firms no one could really buy much of, and weighting them like the S&P500 stocks. These small firms had really large bid-ask spreads, and so as they traded at their bid of 1.00 to their ask of 1.25, you would record a return of 25%, when instead the closing price merely recorded a last trade at the bid going to the ask. Then when it went down to 1.00 again, the loss was only 20%, resulting in a phantom return of +5% even though the price went from 1.00 to 1.25 to 1.00. Other biases from small firms is they delist frequently, and when they delist the returns were hugely negative, about -50%, but this would be marked as 'N/A', greatly biasing returns. One only has to note the huge premiums documented in 'low price' stocks in the 1980s, and the embarrassing failure of 'low price' stock funds that were popular at the end of the eighties, to note that such findings were artifacts of bias. Now, size is highly correlated with volatility, so controlling for size and then looking for volatility effects, is like controlling for beauty and looking at how weight affects someone's hot-or-not rating. If 'size' is not really a factor, but mainly captures a return premium via volatility, the null result may simply the result of dilution via this prefiltering. I mean, after you control for size in quintiles, and then via the size factor return, you don't have a lot of volatility dispersion left. As size and value don't have any real basis in my mind, I would try simple 'total volatility' as an alternative, once one has enough size/liquidity. But forget that, Bali and Cakici's data show the following results, first replicating Ang et al's research, then using the refinement they find rids the data of that result. Now, I just took their monthly returns and multiplied them by 12. In reality, as the average holding period for a stock is around 1 year, you should do a geometric adjustment which lowers the return by the annualized variance divided by two, which makes the high vol quintiles look worse. But forget that. Note that in the 'standard case', there's a massive 10% difference between high and low volatility stocks. This clearly is 'too high'. But their new finding is still 3%, though he states these have t-stats of only 1-ish, insignificant. What Bali and Cakici call 'no robust, significant relation' just means it's not huge, but rather the kind of modest improvement one would expect given that large opportunities in liquid stocks are generally arbitraged out of the market. The relation remains precisely because it is so unsexy. So, Bali and Cakici's results are consistent with what low-vol proponents like myself and Robeco have been asserting: they generate a couple of basis point higher returns, at 30-40% less volatility/beta. That's what I asserted in my 1994 dissertation, and in my book Finding Alpha, and my SSRN paper. That's what Haugen and Baker (1991), Schwartz 2000, Clarke, de Silva and Thorley (2006), Blitz and van Vliet (2007) all document in their analyses of minimum variance portfolios. Bali and Cakici's returns only highlight this is not a free-lunch to some 10% excess return you might apply within a long-short portfolio. I have found, in the CRSP data since 1962, that small priced stocks have a pretty high monthly return premium, something I know is the result of bias as opposed to anything real. So, there's still a bias in the CRSP returns, even though they supposedly exorcized those problems in response to Shumway's finding that delisted returns exagerrated the returns of small companies. So, big analyses that look at 'all' stocks are seriously flawed, and their adjustment seems in the right direction. But the result still stands: you can get a couple of percent higher return, at a huge decrease in risk, by focusing on low volatility equities. Last weekend's UFC was excellent. Silva and Belfort danced around for 2.5 minutes, and when it looked like Belfort took Silva down, he climbed out from underneath using a freakish flurry of athleticism, then got up and delivered a straight kick (below) to Belfort's right cheek that basically ended it. Strangely, Steven Seagal was in Silva's corner, and told an interviewer he taught Silva the kick. Go here quick to see a neat animated gif of the knockout before it gets removed. While ESPN and Sports Illustrated continue to emphasize boxing, all the excitement in combat sports is in mixed martial arts. After all, in a real fight takedowns, kicks, and chokes happen, so boxing seem pretty lame in comparison. A fight without take downs is like Greco compared to freestyle wrestling, not very impressive because you are constraining so many real options. 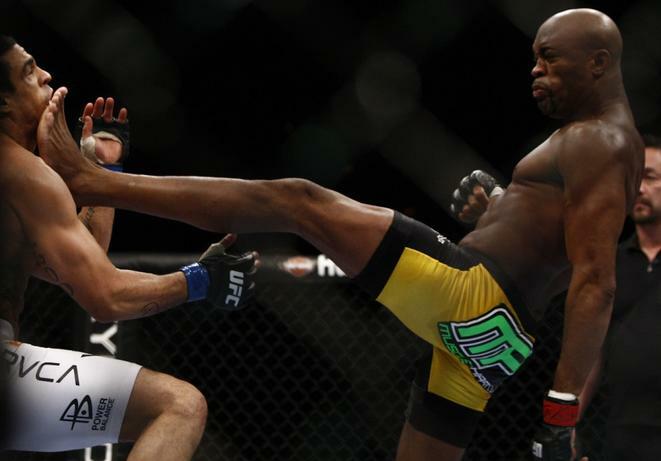 Jon Jones continues to dominate his opponents, thoroughly thrashing previously undefeated Ryan Bader. Interestingly, Jones weighed in at 205, and by Saturday morning tweeted his fans he weighed 221. Vitor Belfort lost 30 pounds to get to 185. They should make them weigh in an hour or two before the match, because these guys all figure they can lose a ton and feel normal within 24 hours, which actually works well as long as you don't cross that line into permanent renal failure. It's a very nonlinear result, and I suspect athletes will be tempted to push until someone gets seriously hurt. It's a dangerous game. American wrestler Dan Cormier (now an MMA fighter) could not compete in the Beijing olympics because he lost so much weight he was hospitalized. Dr. Luc Montagnier, the French virologist who won the Nobel Prize in 2008 for discovering the AIDS virus, and Brian Josephson, Ph.D., who won a physics Nobel in 1973, are both strong proponents of homeopathy. This is the idea that you add to water some chemical you think is hurting you, dilute it several times, it becomes a tonic! Say, add some cyanide to a liter of water, mix, then take out a centiliter of the mixture, and add to a liter of pure water; take out a centiliter of the mixture, etc. You can do this 20 times and basically no salt is left. Homeopathy believes that water has a 'memory' of compounds that were once dissolved in it, which through another mysterious mechanism explains how homeopathy works. Skeptics of homeopathy, like me, think homeopathic medicines have nothing in them because they are diluted too much. Poison and medicine is a function of dose, after all. I like this because it highlights people who are experts are not experts on everything, even within their field, and they often have insanely stupid ideas. That Heidegger was a Nazi, or PCR inventor Kary Mullis believes in astrology, John Nash was a paranoid schizophrenic, Newton believed in Biblical numerology, are not a paradoxes: the most imaginative people are the most credulous because they are prone to dismiss common sense. For creative thought, common sense is a bad master. Its sole criterion for judgment is that the new ideas shall look like the old ones. In other words it can only act by suppressing originality. Original minds find great unconventional ideas, but also lots of bad ones. We all are reminded not to stereotype groups of people, but too often are told if someone has a wacky statement or belief, or does not understand something you think is obvious, this disqualifies them from debate on important issues (Paul Erdos couldn't understand the Monty Hall problem). Richard Dawkins commented on a case of religous descrimination at the University of Kentucky, arguing that if one believes in God that should be relevant to their jobs even if they keep such beliefs private, or if it such beliefs had no obvious relation to their job (say, an eye surgeon who is otherwise competent believing in fairies). He basically thinks one can't be really good at a job if you believe in things he finds stupid. I obviously disagree--not just with what he thinks are stupid ideas, but also that such stupidity disqualifies one for applying idea in other areas. I find comfort in the many perverse beliefs in creative minds, perhaps because I disagree with the consensus on many things and it's self-serving. In Brian Greene's new book Hidden Reality he promotes the idea of the multiverse, one of the oldest is the many-worlds theory, which conjectures that all of the possible histories of our world allowed for by quantum mechanics are realized in other universes. So, there's you winning the lottery, you as a rock-star, in all these other worlds. It's an intriguing idea, mostly because its the only one I know of that can explain the EPR paradox, but it's totally untestable, with no implications other than explaining reality via a fanciful reality. It is like the concept of God, it explains everything using faith. Yet, I'm sure Dawkins would consider such physical musings reasonable. Indeed, Lawrence Krauss, who is often featured with Dawkins lambasting religion, spends his time working on a theory that explains the what was going on before the big bang, as if that was real science. The distinction between what Krauss finds so objectionable--religion--and his day job, is to me a matter of semantics. I'm profoundly against most arguments I come across, so it's not like my mind is totally open. One of the arguments I really don't like is that if someone believes something I disagree with he must be an idiot, or that if he's a genius in number theory his opinion on global warming is obviously rigorous and true. People have multiple selves, as some people who are warm to their family are monsters to their colleagues or vice versa. Most importantly, a person with only 'reasonable' ideas would probably be a good manager, but they wouldn't be really creative, or interesting. Hey, the models all agree! In other words, if you look at the aggregate data, all we have here is a lack of demand. Just replace the missing private sector investment with government purchases, or by confusing investors and hoping they mistake nominal price increases for real demand, and all will be well. Most of the macroeconomists suggested that all we need to do is double down on the stimulus--only the political will is lacking for this obvious solution. What we had was a misallocation--too much housing--and so now must move labor and capital to other areas, which creates temporary unemployment. To try to cover this up via having the government spend more on backfilling teacher's pensions, or have everyone buy an unsustainable amount of everything, would not solve this problem faster. Notice they don't spend any time discussing what government would spend this stimulus on because it doesn't matter to them. It's fun to think a solution to a hangover is more of a different type of alcohol, but I've tried it, and it doesn't work. Unfortunately Keynesians don't have any intuition for this, because everything's all just 'aggregate demand', not housing, technology, energy, etc. Aggregation leads to simplifcation, but clearly it has a cost, and I think any macro theory that ignores the fact that an economy is a network of firms and individuals is pointless. Hayek's early work on business cycles focused on misalignments in the structure of production. Alas, this was basically impossible to formalize. Keyenes's model, meanwhile, was adopted into the Hansen-Hicks synthesis that looked a lot like the simple Supply/Demand equations economists were used to, so everything seemed copacetic. A bad idea, in a tractable model, has a long life, because everyone forgets about all the hand waiving assumptions that underlie such models. Joshua Bell is a famous violinist, but when he did an experiment, and played his $3.5MM violin at a train station, he made only $32. Reputation matters. In Bell's case, passersby did not realize he was truly a gifted violinist. In this case, while this was supposedly our best and brightest giving insight on the big issue of the day, the audience was treated to standard diagnoses and recommendations you hear everywhere on the left: we had a collapse in demand, so the government needs to spend more, or trick people into spending more via money illusion. If one wanted a better anecdote for William F Buckley's famous remark that he would prefer the first 100 names in the Boston phonebook to the Harvard faculty, I can't think of one. As Cicero said, the purpose of wisdom is to know the good, in which case these people would have done better with the proverbial dollar fifty in late charges at the public library, rather than attend the esteemed establishment they were celebrating. On the other hand, Google's chief economist, Hal Varian noted that Yahoo!, Microsoft and the rest are all hiring economists to design services based on game theory and other microeconomic specialties. This is in contrast to banks, that basically all went from having a large economic staffs in the 1970s, but a flak PR guy today for CNBC interviews. Bottom line: if you are going to do economics, don't do macro.